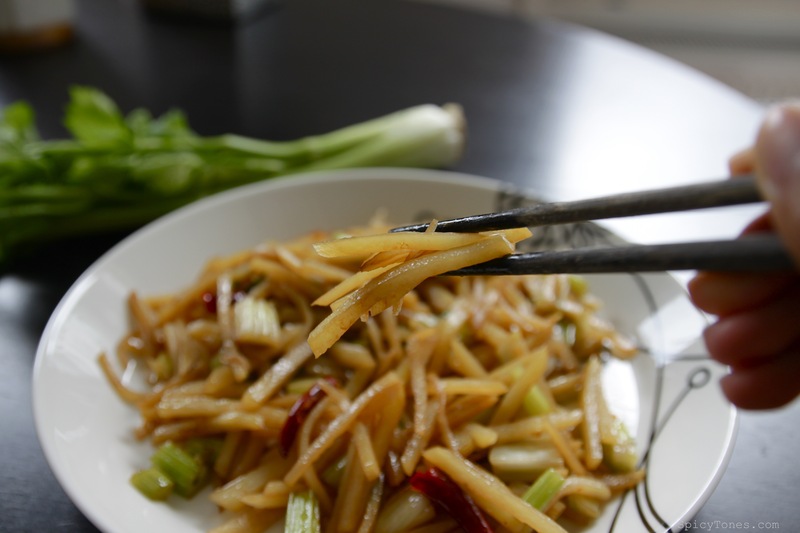 Back home my mom used to make potatoes with fat pork belly with a lot of leek, it was one of my favorite dish. But for some reasons, I don’t quite like pork belly anymore. As some of you might have read about my ‘flexitarian’ diet, it does reduce my craving for meat. Good for me! I will try to make my mom’s recipe in vegetarian version and share it with you guys, if it turns out fine. 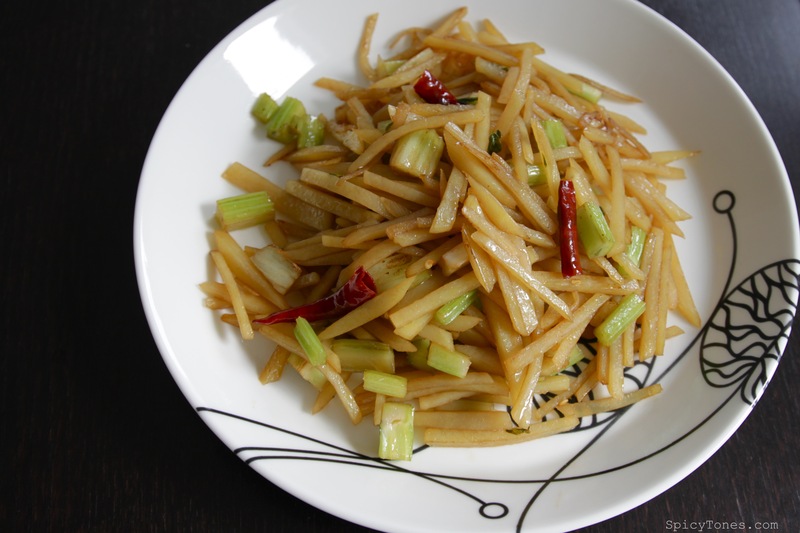 This dish, Szechuan style potato shreds was introduced by my friends Hong and her husband Xing, who came to study in Finland initially. Finland is a perfect place to study by the way; top quality education, high standard and most importantly free of charge for most foreign students. Despite the long cold winter, the only negative thing is that it is rather difficult for foreigners to get a job to work for a living, especially when you don’t speak Finnish language. When I first came to Finland, I didn’t know any Finnish. Therefore I had to accept a job in an Asian restaurant with extremely low pay, and that’s where I met my ex-colleague, Hong. Hong and I were very hard-working people. We were not that closed then, but I have always known that we had something in common, that we shared the same ‘helpless’ feeling. We were unhappy, to work for overtime, illegal pay and harsh employer. But we needed to work for every cent we could to afford our living in Finland besides studying full-time. None of us dare to report to the government since we were so afraid to lose the only jobs we had. Thank god we learned Finnish eventually and found our way out from the trap. Not only that I graduated and still continue for further studies, I am now having a full-time job with decent salary and standardized treatments, even better than what the laws says. I have a great singing career with my band, have the opportunities to travel around places, things are going so well. 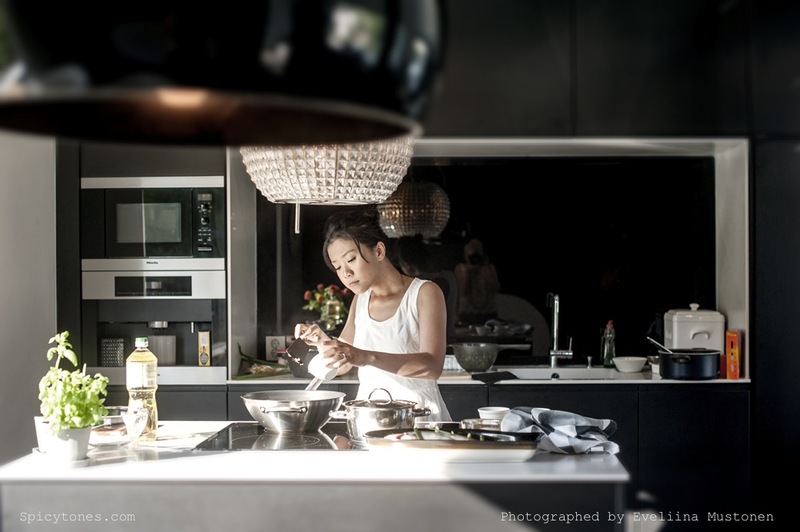 Hong went on to open her own restaurant, this year she even managed to open another unit in downtown Helsinki. You see, things always turn out just fine; at least I’d love to think so. Don’t worry, be happy! 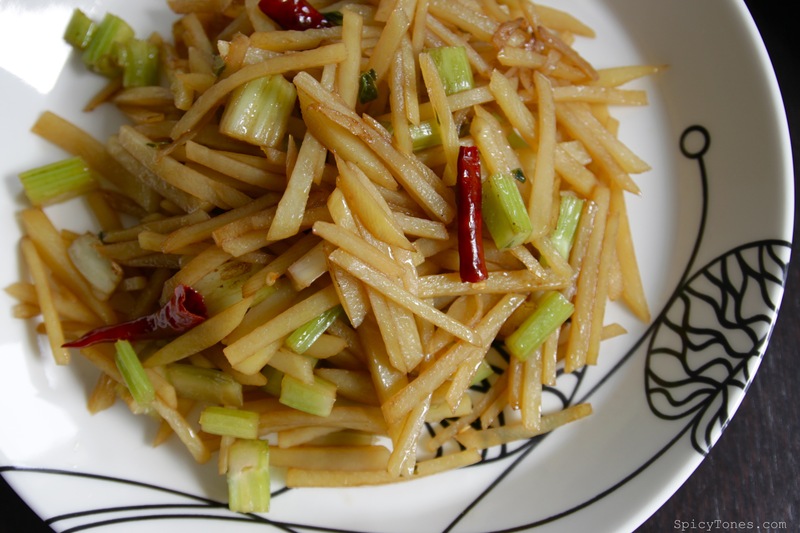 Hong loves Szechuan style potato shreds. I had no idea that there was another way of eating potatoes that I haven’t discovered, until I was invited to Hong and Xing’s home to eat. 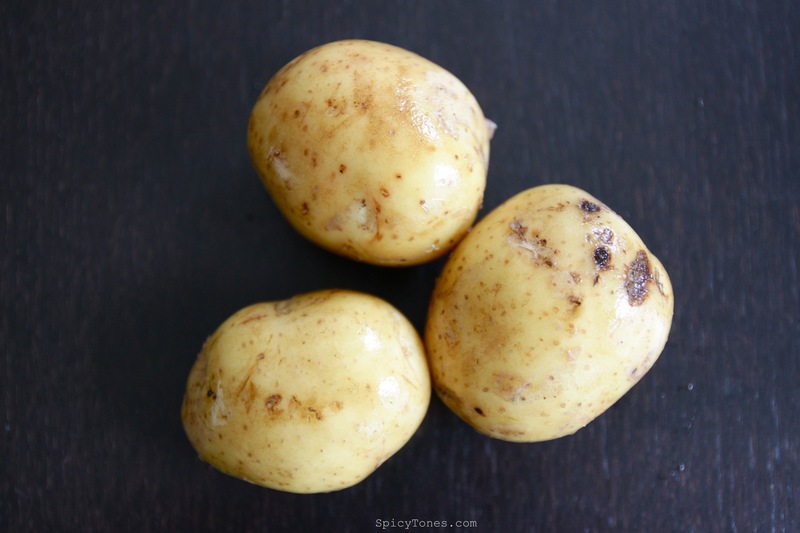 I have been in their home a few times; every single time we had on our dining table, potato shreds! I became loving it. 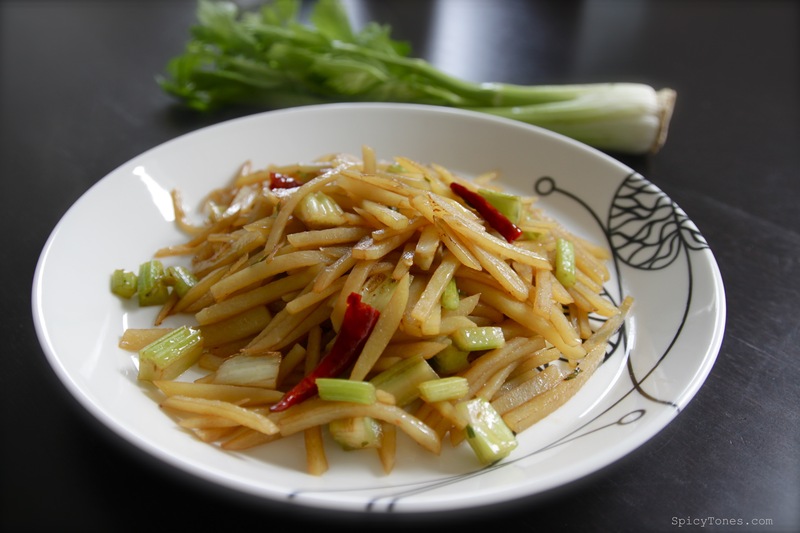 It’s sour, spicy, salty and crunchy, simply irresistible! My unusual European husband loves this dish too. I’m so glad that he is never picky when it comes to food. I just love the whole out of him! 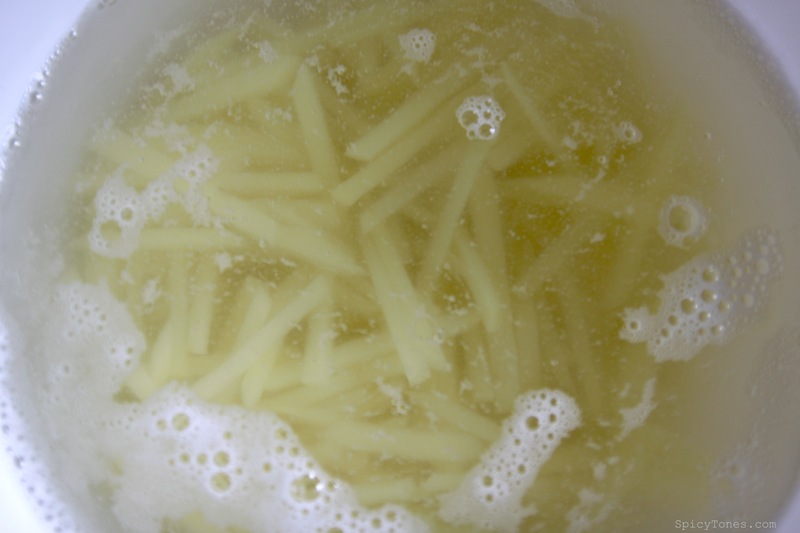 1) Soak julienned potatoes in cold water to remove starch, wash and drain dry. 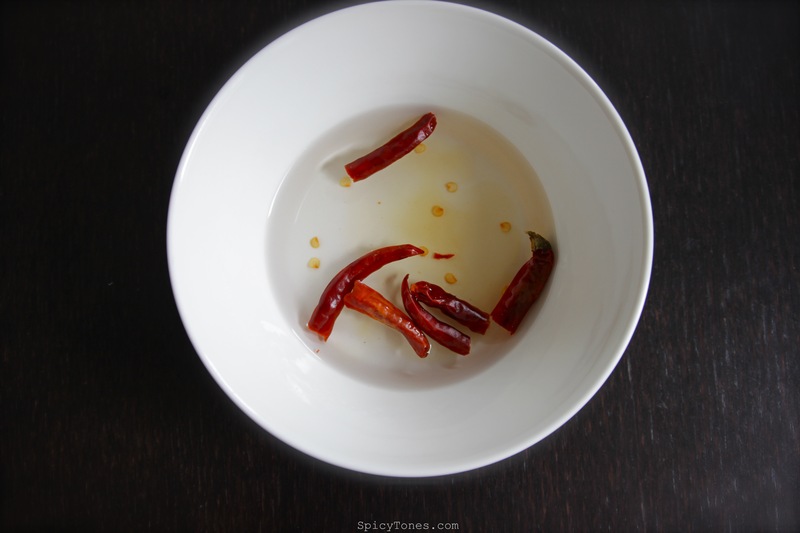 2) Heat oil in pan and fry chilies, celery with high heat until fragrance. 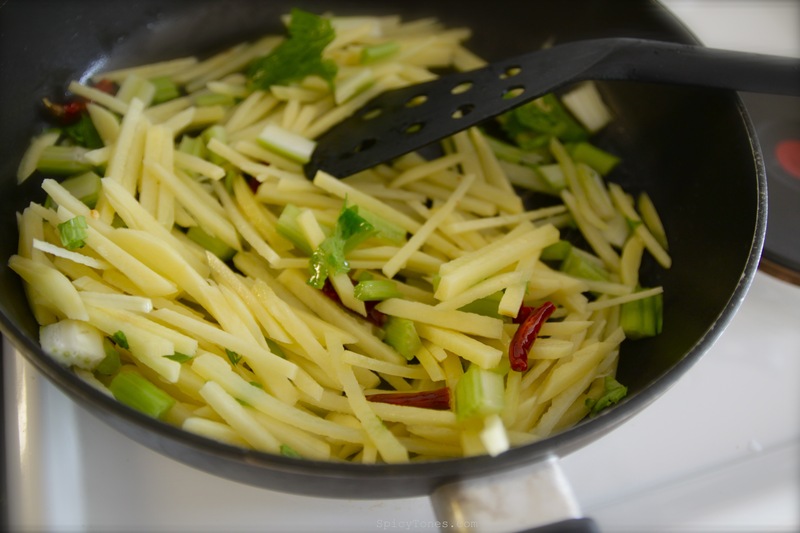 Add potato shreds and stir- fry until the color turns transparent. 3) Add vinegar, soy sauce, salt and white pepper, stir well to allow potatoes to absorb the flavors. Add more vinegar if desired. Serve when the potatoes are still crunchy.